This week's #NEShakesEDTalks video: Who IS Shakespeare! We're coming up on Shakespeare's Birthday on Tuesday (it takes a big cake to hold 455 candles! ), so what better time to look at the man himself? Check it out! Celebrate Shakespeare's birthday with us by participating in #TalkLikeShakespeare day all day long! Need some advice on how to Talk Like Shakespeare or some inspiration into how to make your day a little more Shakespearean? Pop over to www.nebraskashakespeare.com. We'll hook you up! Meet the Instructors for Camp Shakespeare! Camp Shakespeare classes are filling up fast, but there is still time to work with these amazing theatre artists! We pride ourselves on not only giving students hands-on experience with Shakespeare's work, but also real insight into being a performer. Our instructors are working theatre professionals, touching down in Omaha for two weeks to create an unforgettable Shakespeare experiences for students - let's meet this year's instructors! Matthew Olsen is excited to be returning for a fifth season with Nebraska Shakespeare and his first year with Camp Shakespeare as the Players Instructor. Among Matthew's many previous roles with Nebraska Shakespeare are Don Pedro (Much Ado), Banquo (Macbeth), Bianca (The Taming of the Shrew), Hamlet (Hamlet), and Mercutio (Romeo and Juliet). Other credits include Thomas in Venus in Fur; Rudolph in The Matchmaker; Dell in Both Your Houses; Lee in True West; Frank in The School for Lies; and John in Oleanna. Matthew is an actor, director, and educator based out of Minneapolis. He holds an MFA in Acting from Florida State University/Asolo Conservatory. You can catch him as Nick Chopper in the upcoming production of The Woodsman at the BLUEBARN. Colleen Kilcoyne is excited to return to Nebraska Shakespeare as the Apprentices Instructor, having last appeared in the Shakespeare On The Green production of The Tempest. Colleen is an educator, performer, and playwright native to Omaha. Colleen graduated from Creighton University with a BFA in Theater Performance. Favorite performance credits include Sally Bowles in Cabaret (Creighton), Percy Talbott in The Spitfire Grill (Creighton); and Gingy in Shrek the Musical (Rose Theater). Colleen has worked as a Teaching Artist for organizations such as the Rose Theater, Omaha Girls Rock!, Ollie Webb Center. Inc, Shakespeare Behind Bars, and the National Association of Play Therapy, India. She is currently a Special Education Teacher for Chicago Public Schools and studies with The Second City and Chicago Dramatists. Raydell Cordell III is back for his sixth year as Jesters Instructor. Raydell worked as an actor with Nebraska Shakespeare in multiple summer and touring productions in addition to numerous appearances in productions throughout the community. Some of his favorite productions include: King John and A Midsummer Night's Dream with Nebraska Shakespeare, To Kill a Mockingbird at the Omaha Community Playhouse, The Christians at BlueBarn Theater, The Reluctant Dragon at the Rose Theater, and Cat on a Hot Tin Roof and Twelfth Night at University of Nebraska at Omaha. Raydell has a BA in Theatre from the University of Nebraska at Omaha, worked for Westside Community Schools at Westbrook and Loveland Elementary for ten years, and participated in workshops with the Royal Shakespeare Company in England. "Who Jests the Best? Jesters Jest the Best!" Anna Jordan is joining Camp Shakespeare's five-timer club this year, as one of the Camp Co-Directors! She received her Bachelor of Arts in Acting and Directing from the University of Nebraska-Omaha in 2015, where she played the title role in Hedda Gabler. She has appeared in Nebraska Shakespeare’s tour of As You Like It, in A Midsummer Night’s Dream—a collaboration with the Omaha Symphony—and served as assistant director, actor, and Camp Shakespeare Co-Director for multiple seasons On the Green. From 2016-2017 Anna was an actor-educator with RESPECT and is currently a Disney Musicals in Schools teaching artist with Omaha Performing Arts. Most recently, Anna appeared in the world premiere of Van Gogh and Me as Adeline Ravoux, as Curious George in Curious George and the Golden Meatball (The Rose Theater), as Caroline in I and You, and you can catch her soon as Nimmee in The Strangemen Theatre Company’s The Woodsman at the BLUEBARN Theatre. Ezra Colón joins Camp for the first time as Co-Director. Ezra recently moved to Omaha from Albuquerque, NM, where he was a company member with Duke City Repertory Theatre. Some of his favorite Duke City Rep productions include Death and the Maiden, Julius Caesar, A Midsummer Night’s Dream, The 39 Steps, and Oedipus the King. He was also a resident actor at the Barter Theatre, where he performed in over 40 productions in the span of 5 years. His favorite Barter roles included Dave Bukatinsky in The Full Monty, Dr. Victor Frankenstein in Frankenstein, Lefou in Beauty and the Beast, and Hamlet in Hamlet. For Nebraska Shakespeare, Ezra directed the touring production of A Midsummer Night's Dream and has been seen on the Shakespeare On The Green stage as Borachio in Much Ado About Nothing, the Fool in King Lear, Hubert in King John, and Seyton in Macbeth, among other roles. Ezra has a B.F.A. in Performance from Columbus State University and is part of Actors Equity Association. With this great line-up of Educators, the only thing missing is YOU. There's still time to join the 2019 class for Camp Shakespeare - Click HERE to register today! Questions about Camp Shakespeare? 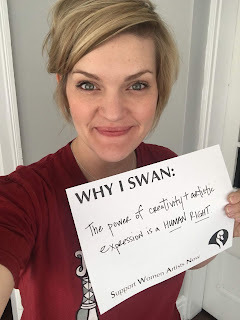 Contact Director of Education, Katie Becker Colón at katie@nebraskashakespeare.com. This week's #NEShakesEDTalks video: Shakespeare's Words and Phrases! We're continuing our sonnet month by looking at Shakespeare's Words and Phrases. Check it out! Wanna try your hand at writing like Shakespeare? Enter our SONNET CONTEST! Join us at Gallery 1516 on Saturday, April 6 at 2 PM. The performance starts at 3 PM, but join us early to view the art, meet the cast and staff, and enjoy a glass of wine. Check out today's video on Shakespeare's use of Iambic Pentameter! Try your hand at writing like Shakespeare by submitting to our Sonnet Writing Contest by April 23rd! Click HERE to learn more. Submit your Sonnet By April 23! The 22nd Annual Sonnet Writing Contest starts today. There is no entry fee for participants. Winners receive prizes or free tuition to Camp Shakespeare as well as reserved seating for Shakespeare On The Green! Visit our website to learn more or submit a sonnet. 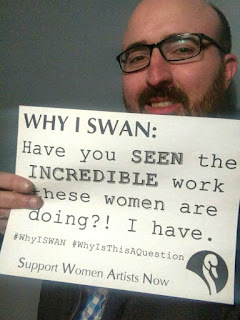 Support Women Artists Now - It's #SWANDay! It's never too late to say why you support female artists! 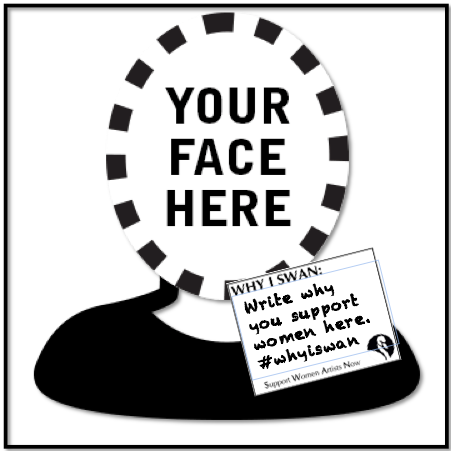 Print off the Why I SWAN SIGN for a selfie, or post a social media story with the hashtags #WhyISWAN and #FemaleForward2019 to join this important conversation! And join us next Saturday for our first #FemaleForward performance of the season with Timon of Athens at Gallery 1516! 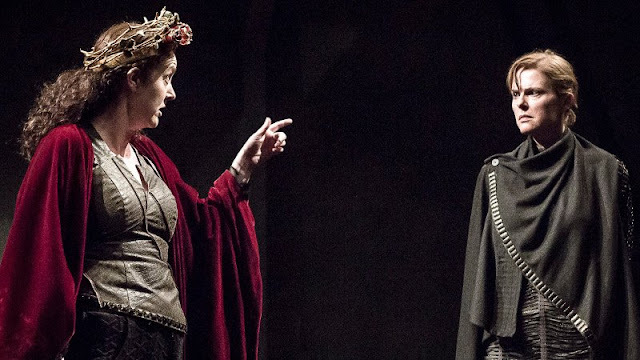 Not to be Missed - Donmar Warehouse's Julius Caesar on PBS Great Performances! 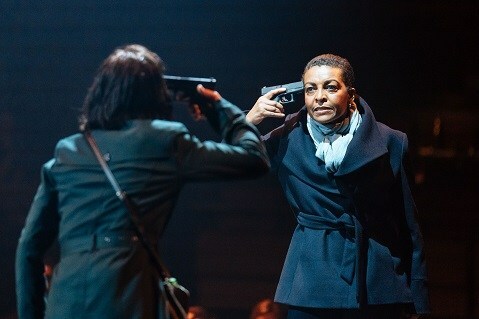 The Donmar Warehouse production of Julius Caesar is airing tonight! If you want to join NS and friends during the premiere, we're holding a casual screening party in room 201 of the UNO Barbara Weitz Community Engagement Center. Bring your snacks, friends, or just yourself! It premieres tonight on PBS at 8 PM CST and on streaming starting tomorrow. Read more about the production and broadcast schedule HERE. 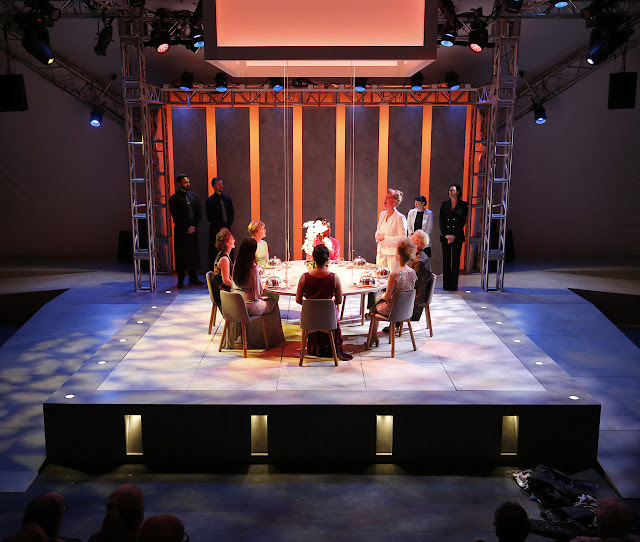 Check out this amazing production, then join us next week for TIMON OF ATHENS at Gallery 1516! National Poetry Month is just around the corner and we're getting pumped for a month of exploring Shakespeare's Language! We're kicking off our 2019 performances with a reading of Timon of Athens. The play is an examination of privilege and poverty: Timon is a celebrated member of Athens, whose exploitation by false friends forces us to gaze into the cravings we all share. On April 6th, we'll be exploring this lesser-produced script surrounded by the phenomenal artwork at Gallery 1516! The performance starts at 3 PM, but come early to meet the staff and cast. Join us at 2 PM to enjoy a glass of wine, mingle, and take in the artwork in the Nebraska 8 Invitational exhibition. 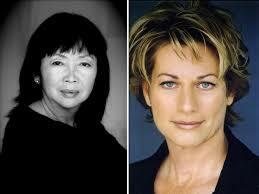 At 3 PM, the heavy-hitting cast of talented local and regional actors will present the play! Click HERE to learn more about the reading! Starting on April 1st, submissions will be accepted for the 22nd annual season of the Anne Dittrick Sonnet Writing Contest. With adult, middle school, and high school divisions (and no entry fee), everyone can participate! Looking for tips and inspiration? Check out our new #NEShakesEDTalks video series (we're looking at sonnets for this month's topic) on YouTube! Winning sonnets will be featured at Shakespeare On The Green and authors will receive prizes or tuition-free attendance to Camp Shakespeare. Click HERE to read more about the Sonnet Writing Contest! Speak’st thou with love on thy lips and full life in thy heart! The Governor proclaimed April 23rd (Shakespeare's Birthday) as Talk Like Shakespeare Day across the state! Celebrate Shakespeare's language with tips and activities for the classroom, at work, or just for kicks throughout the day. Visit our Talk Like Shakespeare page for fun ways to participate in the holiday. Visit www.nebraskashakespeare.com for more information on all things Nebraska Shakespeare, or follow @NEShakespeare on Facebook, Twitter, or Instagram! Welcome to the final week of Swan Sunday!! Also, a reminder that this Saturday, March 30th is SWAN DAY! Please celebrate with us by printing out your own #WHYISWAN page (link above) and let us know why you Support Women Artists Now! We will feature all the submissions on our social media that day. 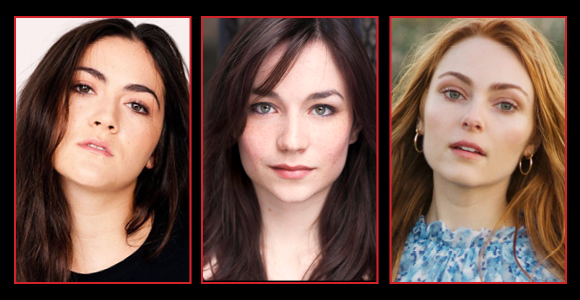 Ok, so let’s get started with some of the exciting all-female productions in 2019!! Isabelle Fuhrman, will star in the title role of an all-female reimagining of Shakespeare’s Macbeth. Adapted and directed by Erica Schmidt, the Red Bull Theater Company production will begin previews May 7 at the Lucille Lortel Theatre in New York City. "This reinterpretation of Macbeth is based on the Slender Man and Skylar Neese murder cases. On an autumn afternoon, in an empty lot outside the city, seven girls meet up to do a play with witches, ghosts, and kings, but soon the line between real life and blood fantasy quickly blurs." 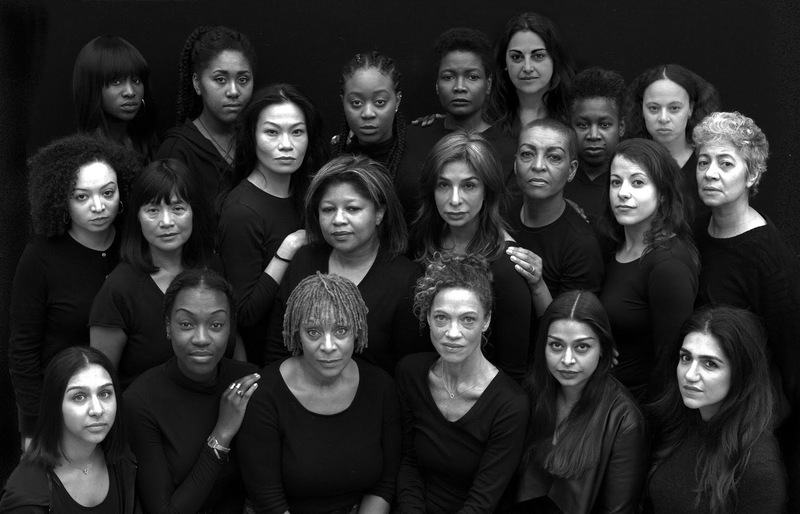 Adjoa Andoh and Lynette Linton direct the first ever women of color company in a Shakespeare play on a major UK stage. Richard II, playing in the Sam Wanamaker Playhouse, marks the beginning of a cycle of history plays that will provide a unique opportunity to rediscover how Shakespeare perceived his England. Debra Ann Byrd, the founder and Artistic Director of the Harlem Shakespeare Festival, leads and all female cast as the title role in Othello. This unique vision of one of Shakespeare’s most famous plays about jealousy, intrigue, and betrayal as you’ve never seen before. Nebraska Shakespeare has been gradually growing opportunities for female actors over the past few seasons, and this upcoming summer we are thrilled to be taking our largest step ever with this Female Forward season for 2019. Just four short summers ago, the first Juno’s Swans production was presented to a small audience in UNO’s Weber Fine Arts Building, since then we have produced staged readings of Richard 3 and Julius Caesar at The Blue Barn Theatre in 2017 and 2018. We are so excited to present this FEMALE FORWARD main-stage production of All's Well That Ends Well for 2019 Shakespeare On The Green. Though this production was produced in 2013, it is FINALLY being show in the US this Friday, March 29th on PBS. 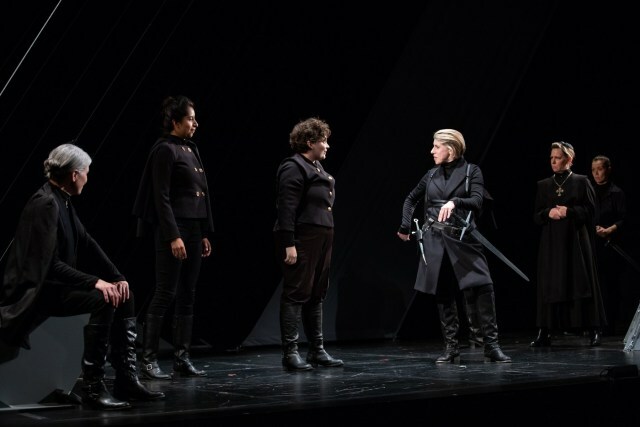 Set in a women’s prison, Julius Caesar offers a powerful dramatization of the catastrophic consequences of a political leader’s extension of power beyond constitutional confines through an all-female lens. 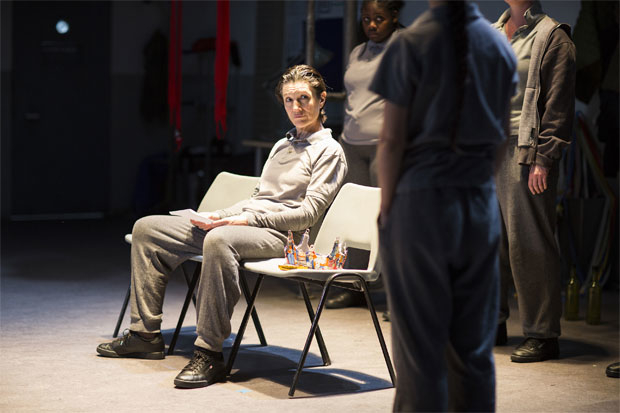 In this acclaimed Donmar Warehouse production directed Phyllida Lloyd, Shakespeare’s famous discourse on power, loyalty and tragic idealism is heightened against the backdrop of female incarceration. The cast stars Tony Award-nominee Harriet Walter (“Sense and Sensibility,” “Mary Stuart”) as Brutus, Jackie Clune (“Borderline”) as Caesar, Martina Laird (“EastEnders”) as Cassius, Jade Anouka (“Cleaning Up”) as Mark Antony. 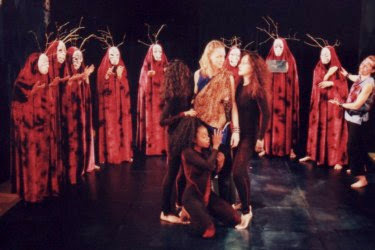 Performed in-the-round and enhanced by a guerilla filming style on a mostly bare stage, Julius Caesar creates a unique perspective on Shakespeare’s tragedy. GoPros and a drone offer a stark reminder of the prison setting, and heavy metal music blasts to highlight the conflict on stage. The production was the first of a trilogy of all-female Shakespeare productions at London’s Donmar Warehouse that The Guardian called “one of the most important theatrical events of the past 20 years.” This production of Julius Caesar, as well as the theatre's all-female Henry IV and The Tempest, was in association with the theater company Clean Break and the York St. John University Prison Partnership Project. We are so excited for Nebraska Shakespeare's Female-Led (Susie Baer Collins as Timon) Director's Reading to kick off our #FemaleForward2019 season on April 6th at 3pm at Gallery 1516. Join us for this meet and greet, staged reading, and discussion. The Cast of Timon of Athens! We hope you'll join us for our reading of Timon of Athens on April 6th. The reading will start at 3 PM, but stop by at 2 PM to check out the amazing artwork at Gallery 1516 and chat with the Nebraska Shakespeare staff. Welcome back for week three of our #SwanSunday series!! 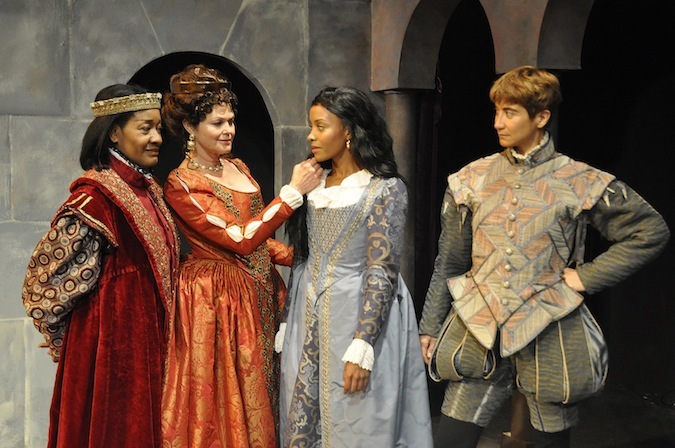 Each Sunday in March we are highlighting #femaleforward Shakespeare companies and productions. 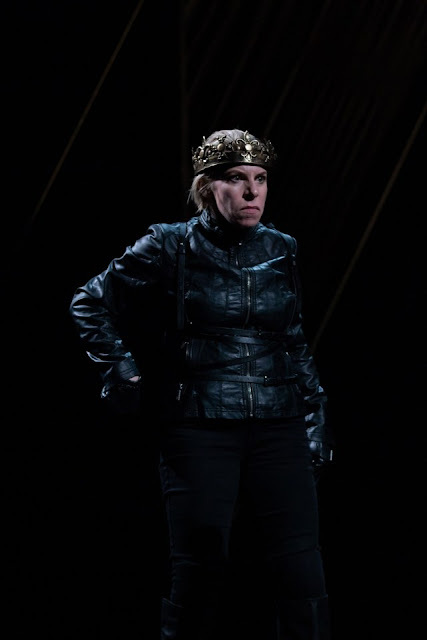 The past two blogs have featured women taking on the largest male roles in Shakespeare’s plays (Hamlet, Othello, Richard III, and Henry V). This week we are going to [swan] dive into three of the first female-focused companies in the US. These companies explored the mirror image of Shakespeare’s all-male company (Lord Chamberlain’s Men/King’s Men) of the late 16th/early 17th centuries. Even though two are no longer producing, their groundbreaking work laid the foundation for the all-female work we are currently exploring today. In 2015, this company presented the Henriad (plays of Richard II, Henry 1V, Parts One and Two, and Henry V) with Irish female actors Derbhle Crotty as Bolingbroke and Aisling O’Sullivan as Hal and Henry V. The production received rave reviews and sparked a female forward movement in the Ireland theatre scene. First Production: LAWSC opened in 1993 with an all-female production of Romeo and Juliet featuring Natsuko Ohama as Friar Lawrence and artistic director Lisa Wolpe in the role of Romeo. "Wolpe is one of the great stage actors of our generation who breathes life into Shakespeare's words as though they were dredged from her own soul." Mission: To bring Shakespeare's language to life with clarity and vitality, while expanding the presence of women in classical theatre. JSC, established 1995, was not a totally all-female company, but they produced many reverse-gender cast shows and all-female productions in NYC before they closed their doors in 2015. Mission: A NYC-based nonprofit theatre company dedicated to the creation of inventive productions of classical plays featuring all-female casts. 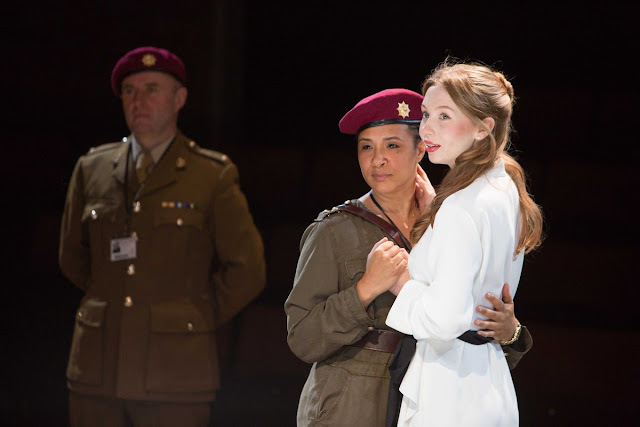 We advocate for greater opportunities for classically trained professional female actors through all-female productions and gender-blind casting in classical theatre. On a personal note, I am so grateful for these brave, strong women that provided opportunities for female Shakespeare actors in a very male-dominated landscape. Over the past decade, we, as a community, have learned so much about the importance (or unimportance) of gender. We have started to explore gender fluidity. We have begun to appreciate the power and strength within the female gender. I respect these bold artists that spoke the first words that have led to a larger gender discussion. But now, the aesthetic of gender performance has begun to shift. Women are no longer required to hide their femininity to speak traditionally-male roles. Shakespeare was writing about the human condition, and therefore his works and characters transcend gender. 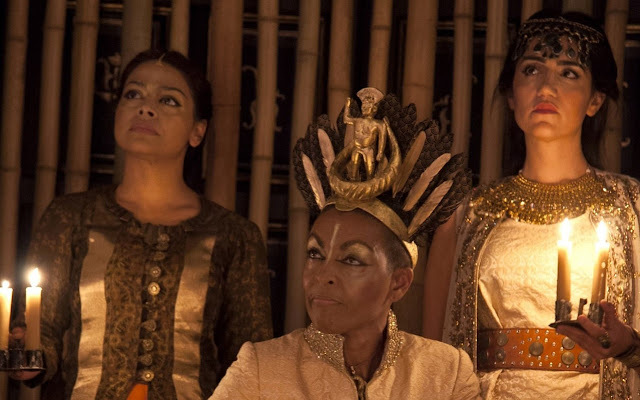 Gender performance is moving away from requiring women to "play men," and heading rapidly towards celebrating Shakespeare through the feminine experience. Next week, we will explore this new frontier of All-Female Shakespeare as we look forward to some very exciting UPCOMING productions for 2019! Remember to post your #SWANDAY picture to social media on or before March 30th. Tag @neshakespeare on Facebook and Instagram, so we can see all the ways you are Supporting Women Artists Now! #NEShakesEDTalks: Write your own sonnet! Last week, Katie talked to us about what a sonnet is, and now that our sonnet writing contest is getting closer, are you ready to start writing your own? Katie's got some tips for topics to write about to get you started. Check it out! Shakespeare On The Silver Screen Brings National Theatre Live to Midtown! Alamo Drafthouse announced that the screening of “National Theatre Live: Macbeth,” set for March 18 at Alamo's Midtown location, will be the first of many more National Theatre Live Events on the horizon! As you've probably heard, we're collaborating with Alamo Drafthouse to present this year's season of Shakespeare On The Silver Screen, including the National Theatre Live broadcast of Macbeth. The screening will be held at Alamo Drafthouse’s newly-opened Midtown location on Monday, March 18. National Theatre Live is a project to broadcast live stage productions from professional theatres in the UK. During Monday's screening, movie-goers will be able to view the professional London production of Macbeth, filmed live at the Olivier Theatre in 2018. 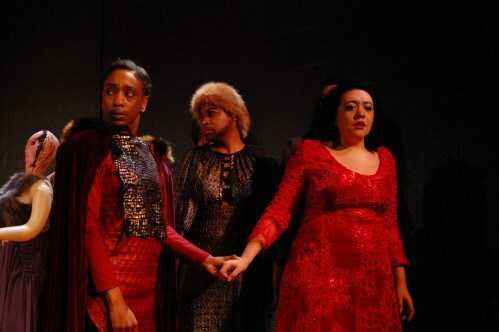 A scene from Macbeth. 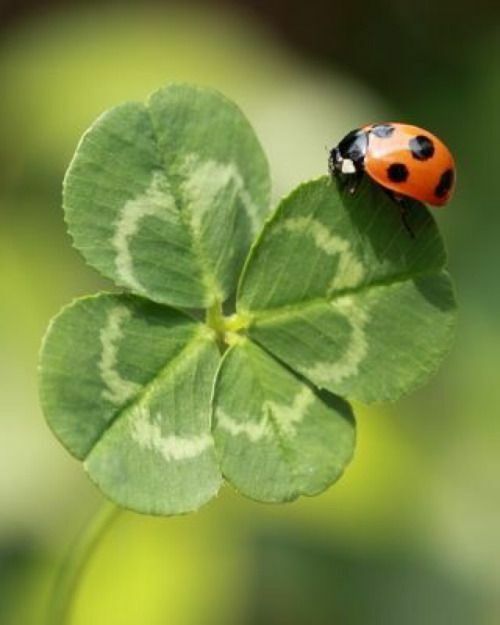 Photo by Brinkhoff and Moegenburg. 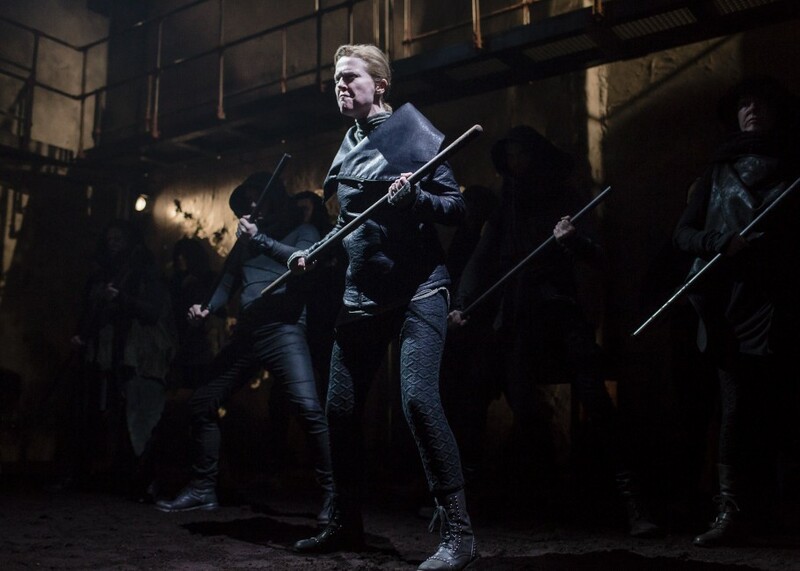 Shakespeare’s most intense and terrifying tragedy, directed by Rufus Norris (The Threepenny Opera, London Road), shows us the ruined aftermath of a bloody civil war. Ruthlessly fighting to survive, the Macbeths are propelled towards the crown by forces of elemental darkness. Anne-Marie Duff as Lady Macbeth and Rory Kinnear as Macbeth. Photo by Brinkhoff and Moegenburg. The performance stars Rory Kinnear as Macbeth. Kinnear is known for his onscreen roles as Frankenstein’s Monster in Showtime’s Penny Dreadful; as Bill Tanner in the Daniel Craig era James Bond films Quantum of Solace, Skyfall, and Spectre; and for his onstage work with the Royal Shakespeare Company and The National Theatre where he won the Olivier Award for Best Actor for his portrayal of Shakespeare’s villain Iago in Othello. Each National Theatre Live broadcast is filmed in front of a live audience in the theatre, with cameras carefully positioned throughout the auditorium to ensure that cinema audiences get the ‘best seat in the house’ view of each production. A discussion will accompany this screening, led by Nebraska Shakespeare Artistic Director Sarah Brown. Inspired by the On The Silver Screen collaboration, Alamo Drafthouse announced that they will be presenting all National Theatre Live events at their Midtown location, making Macbeth the inaugural event for ongoing National Theatre Live programming at Alamo! Shakespeare On The Silver Screen is a focused on highlighting filmed versions of Shakespeare’s works. With National Theatre Live’s history of presenting such Shakespearean plays as King Lear, Macbeth, Hamlet, As You Like It, and Julius Caesar, among others, you can imagine our excitement that Omaha will be seeing many more screenings in the future! The Shakespeare On The Silver Screen presentation of “National Theatre Live: Macbeth” will take place on Monday, March 18 at 6 p.m. at Alamo Drafthouse – Midtown (3201 Farnam St #6111, Omaha, NE 68131). Tickets are $15 and can be purchased at the Alamo Drafthouse box office, or online at www.drafthouse.com/omaha. For more information, visit www.nebraskashakespeare.com. Happy Swan Sunday (Take Two)!! 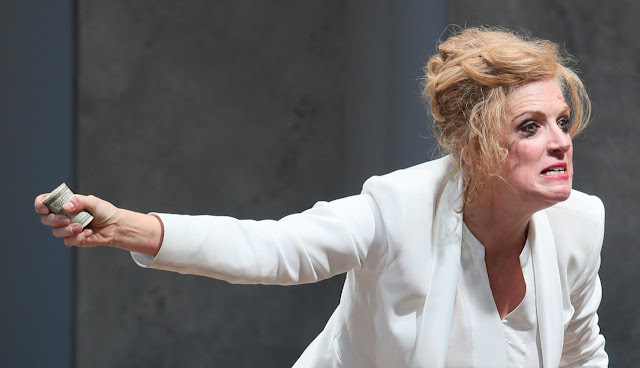 For this second #SwanSunday of our #FemaleForward2019 season, we are going highlight more female actors that have stepped into traditionally male roles in Shakespeare plays. Excitingly, there were quite a number to choose from (yay! ), most notably, Tamsin Greig's Malvolio for The National Theatre and Harriet Walter's Prospero for St. Ann's Warehouse both produced in 2017. These brave and breathtaking performances prepped set the stage (#literally) for additional dynamic performances in 2018. Last #SWANSUNDAY, we explored the history of female Hamlets (#foreshadowing), so this week we are going to focus on the most recent women living large in Shakespeare's other title roles. New York's Public Theatre is known for its creative and daring Shakespeare. Their Mobile Unit (touring production) of Henry V starring Zenzi Williams as Henry was no exception. 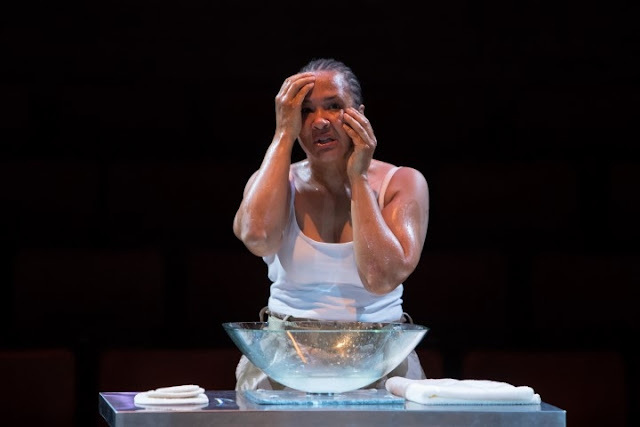 The company performed for 3 weeks in New York City's correctional facilities, homeless shelters, social service organizations, and other community venues, before completing a 5-week run of FREE performances at The Public Theatre. 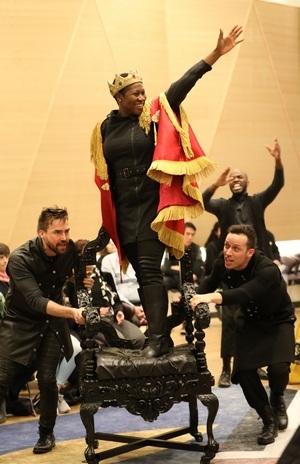 “The casting of the engaging Zenzi Williams, an African-American actress, as Henry, a canny move that makes us ask some useful questions about whom we expect to see leading an army and rocking a crown. Ms. Williams can do both, handily. It's unclear whether she's playing the part as male or female. It's extraneous, too. Gender doesn't seem to matter to this production.”--New York Times. Join us next week as we [swan] dive into our third #SWANSSUNDAY and explore the history of the all-female Shakespeare production. Want to see a female actor take on the role of Timon first hand? Of course you do! Join us on April 6th at 3pm at Gallery 1516 for Nebraska Shakespeare's Reading Series of Timon of Athens! 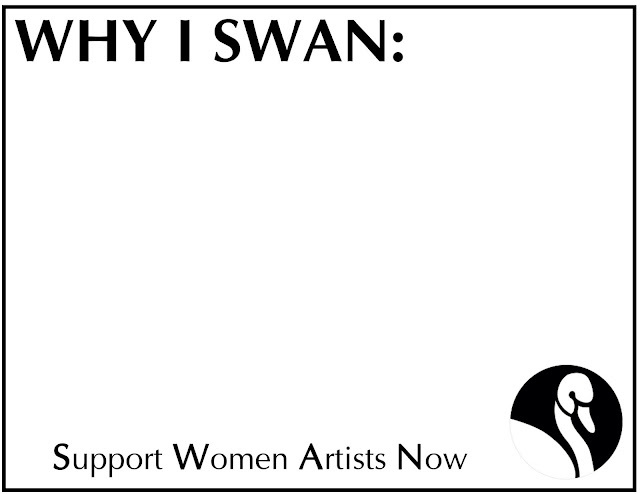 Print off your own "Why I SWAN" sign, fill in reasons for why you supporting women artists, and post it to social media.